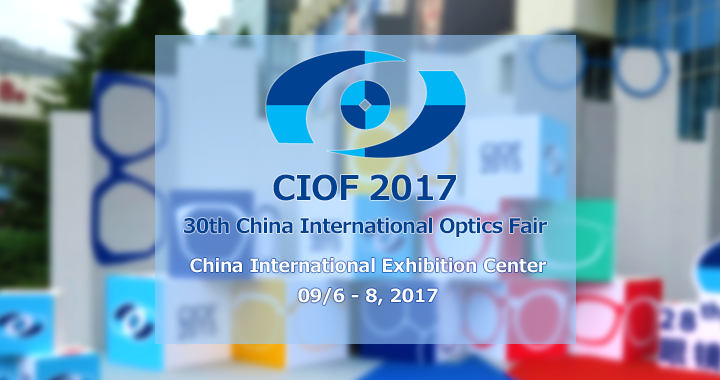 Come visit us at 30th China International Optics Fair in Beijing (CIOF 2017)! China International Optics Fair – Beijing is an official international optical exhibition for the country China. The fair showcases spectacle frames, sunglasses, photochromic lenses, safety eye wear, components of frames, spectacle cases & accessories and many such other products. This three days expo is being organized by Orient International Exhibition Co. Limited, and will be held at Beijing China International Exhibition Center (CIEC). YS America will join this event and planning to see the customers. If you are interested in some of our products and planning to visit CIOF 2017, please contact us in advance and we will being the products detail and samples for you.